If anyone was born to farm, it would be grower/packer Don Klassen. When talking with Don, it’s clear that it’s not only a generational occupation, but he truly loves to farm. He is very knowledgeable and passionate about growing the best fruit possible. Don’s family came to the United States from the Ukraine. He is the third generation farming some of the same land that his grandfather bought. The original ranch that has been carefully cultivated over the generations was only about 20 acres. Once Don’s father took over, he was able to grow the farm to about 60 acres. In the process of growing, Don’s father bought the property where Don grew up. Don’s father started the family packing operation at his father, Eldo’s, house, and in 1981 the packinghouse was moved to the current location. Don is still running this shed today! Growing up in a farming family Don started working at a very young age. He can remember stapling boxes and watching his dad haul fruit. One of Don’s favorite memories of being in the packinghouse was riding with his dad with a load of fruit to the cold storage. Don knew that when they got there his dad would buy him an ice cold Dr. Pepper. In those days it was a big deal to buy a soda from the machine. Don loved getting sodas at the cold storage, but he also loved spending time learning from his dad. Early on Don’s family had more raisin grapes then tree fruit. They slowly started making the change to growing more tree fruit. In 1988 they had a new plum that was picked after school had already started. Don can remember going to school and coming home to help pack the fruit. It took a lot of teamwork to get this work done; all hands were on deck! Although Don grew up on the farm, he will admit that it wasn’t until he was college age that he realized he wanted to carry on the family business. Don went off to Cal Poly and began studying Soil Science. Because Don had already been a part of the family business, he remembers in some of his classes telling the professors how it really was in the tree fruit industry. He had a conversation with a professor and it became clear that for him, at that time, getting a degree wouldn’t get him ahead of the game. Don also got married, and decided it was time to get back to work, and learn some things from his dad rather then in a classroom. Don spent many more years working for his dad, until the time came for Don to become owner of the company. In 2007 Don took the reins at the family farm. He went from just a regular employee to owner of a very successful business. At the time that Don took over the farm, they were farming 220 acres of land. About five years later, Don grew the business to 500 acres. Today he has 440 acres, and thinks it’s a good size for him. When talking about the land that he farms, you can tell that Don loves taking care of the land, he knows that you have to be a good steward of what you have so the generations to come can also take care of it. The season that Don finds most memorable is the first summer as an owner. He said it was a big adjustment because there was so much more put on his plate. But, it was a challenge he wanted to take on. He was now getting experience dealing with employees, restructuring the company, learning how to think in terms of the big picture, and felt the importance of choosing the right varieties. Don really enjoys his time spent farming because he loves being able to do different things at different times of the year. It’s never boring, and you can use so many different skills. He loves pruning trees and watching things grow, as well as improving the crop from year to year. Farming can be challenging because there are always changing regulations to keep up with. It’s tough to find the time to be in the office and do all the paperwork. It’s also hard knowing when is the right time to expand in this economy. Remembering the importance of the business side is a challenge farmers now face. Although it is a lot of fun to improve the crop year to year, it is very difficult to know if the changes that you’ve made will make the improvements you want to see. Don is very thankful that farming is a career that allows parents to be there for his kids. He is married with three kids and loved being able to take time off to go to their events and coach their sports teams. He knows the importance of a dad being present and he never takes for granted the time he has gotten to spend with his kids. 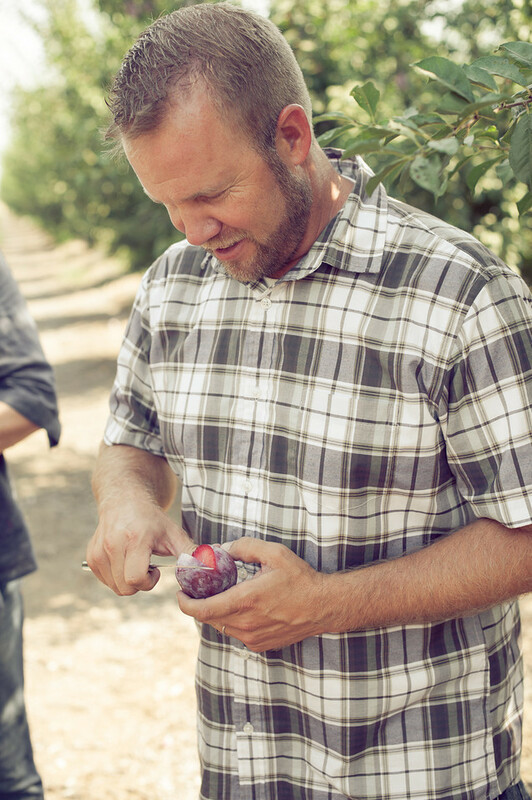 Although farming isn’t always easy, Don gets satisfaction growing great tasting fruit. He enjoys a ripe plum or pluot; Red Raspberry is his favorite. But he does admit that a crunchy white nectarine is also delicious. He likes the early varieties because you have missed eating them for 8 months! As you can see, Don loves what he does and hopes that his fruit can be enjoyed for years to come. 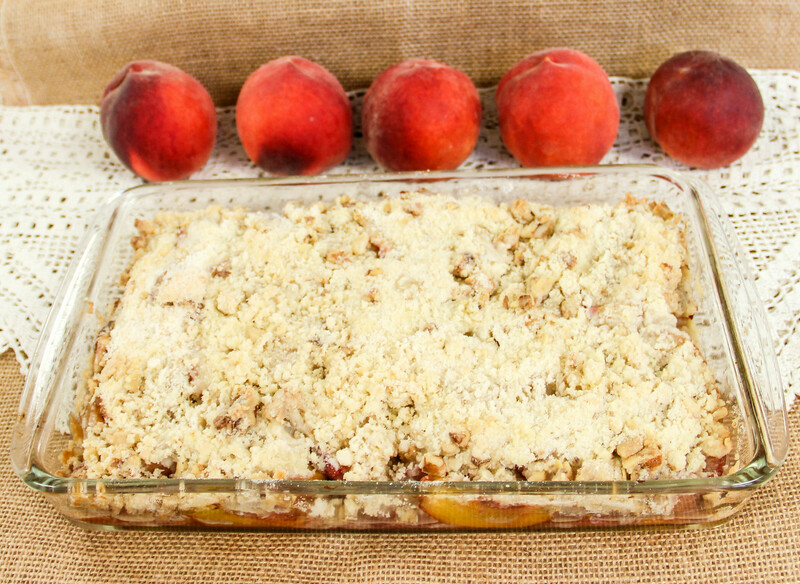 A Klassen family original recipe for a delicious peach cobbler. 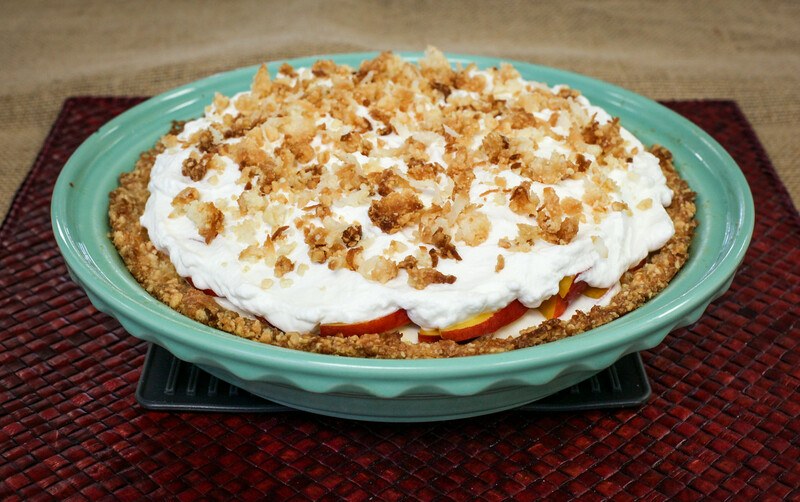 A Klassen family original recipe for a delicious fresh peach pie with an almond & coconut crust. 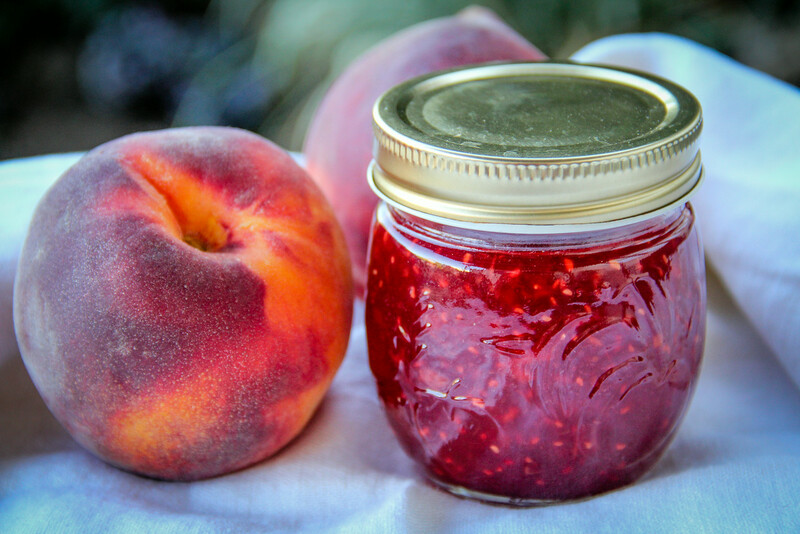 A delightful sweet treat made from ripe peaches and Raspberries. This is a Klassen Family original. View & Download high-res photos of the Klassen Family for use in sales materials, social media and print.